Tackle brutally cold winter camping conditions with a water-resistant 550- fill ProDown™ insulated mummy bag that's designed to provide thermal warmth in sub-zero temperatures. An anti-compression layer of synthetic Heatseeker™ eco insulation creates an insulated buffer against the cold ground on the underside of this North Face bag. Tackle brutally cold winter camping conditions with a water-resistant 550- fill ProDown™ insulated mummy bag that&apos;s designed to provide thermal warmth in sub-zero temperatures. An anti-compression layer of synthetic Heatseeker™ eco insulation creates an insulated buffer against the cold ground on the underside of this North Face bag. 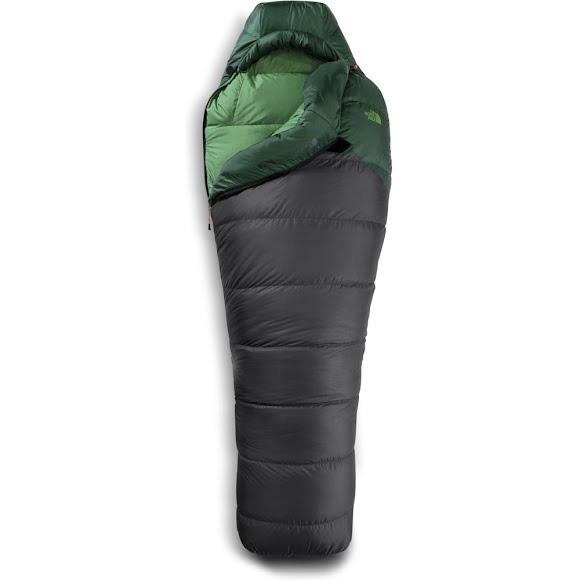 Max User Height Reg: 6', Long: 6'6"
Stuffsack Size 10" x 19"